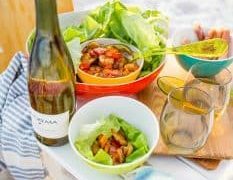 This easy and delicious recipe for Shrimp and Snapper Fajita Lettuce Wraps is great for summer parties paired with a spectacular glass of Pinot Gris or Chardonnay, good friends, and a great sunset! 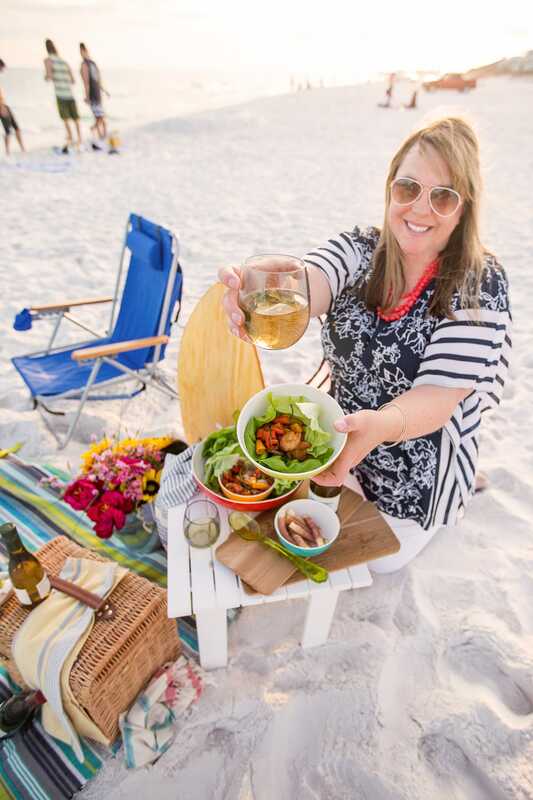 I was recently in the South Walton County area of the Florida Panhandle, enjoying their fabulous white sand beaches all week, and eating as much delicious, fresh food as we could. 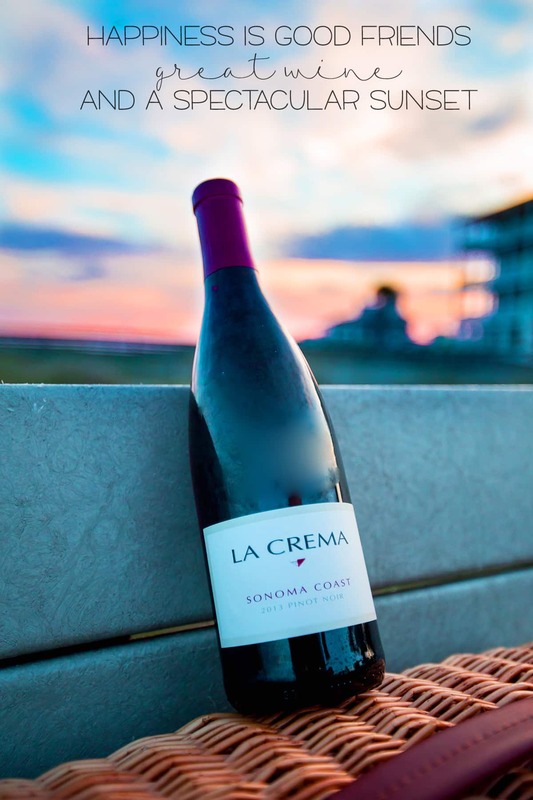 One night we decided to throw a fun, relaxed dinner party on the gorgeous shores of Grayton Beach to watch the sunset over some bottles of La Crema wine and an easy but elegant meal. These Shrimp and Snapper Fajita Lettuce Wraps are a festive and easy party dish- they are fresh, delicious, easy to hold, and have a ton of flavor! Best of all, they are easy to bring and set out at the beach. 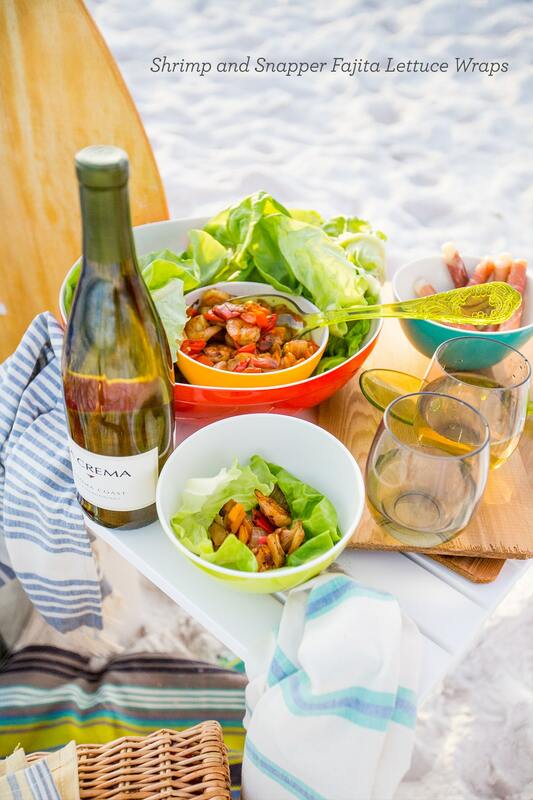 Big meals in the sand seem intimidating because nobody wants to get sand in their food- but these wraps are easy to keep sand-free with a few tips and tricks. When I was setting up our meal, I had everything cooked before heading to the beach- but this meal is so easy, you can even bring it to cook on a grill or in the bonfire if your beach has them! Be sure to wrap everything tightly with plastic wrap while transporting to the beach. I set the entire meal in two large bowls- the shrimp and peppers in one bowl which was securely wrapped, and set that inside a large bowl holding lettuce cups- which I wrapped as well. Once I had a table and cedar plank “plates” set up, I unwrapped the food. 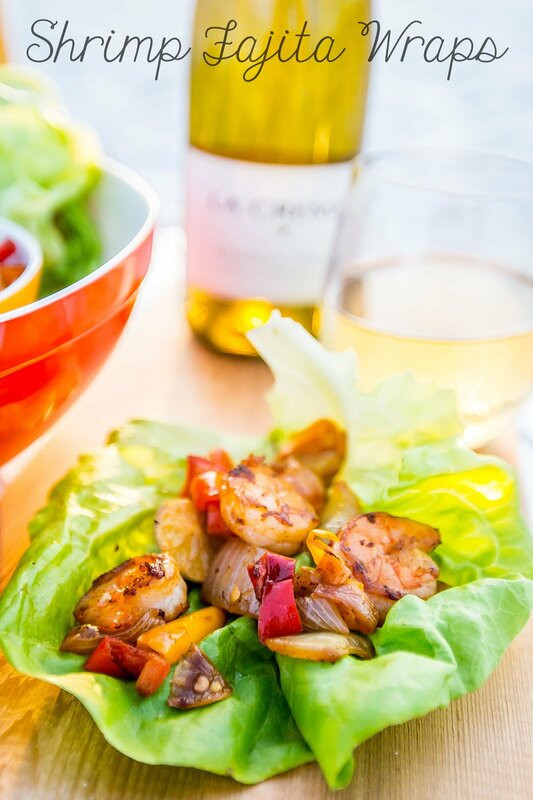 To serve, set out a spoon and encourage guests to fill their own wrap full of the seafood fajitas into large lettuce cups. I served them in both bowls or cedar grilling planks as a plate and let people chose which would be easier for them to hold. Pro tip: If your hands are full of sand, shake some baby powder on them to instantly release the sand. It soaks up the moisture in your hands and let the sand fall right off! 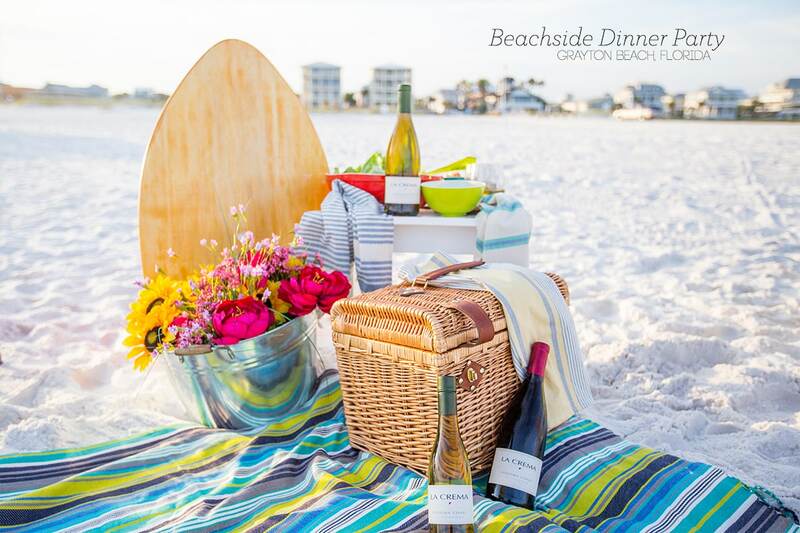 and see the Beachside Dinner Party tips and Tricks here! 1 pound shrimp, uncooked , shells removed- I buy them shell on because they are less expensive- just thaw and remove the shells. Cut peppers and onions into thick wedges. Add onto skewers- I add onions, peppers, and shrimp each onto their own skewers to ensure even cooking. Cook vegetables until browned. When lightly browned and soft, start grilling shrimp. When Ingredients are cooked, add to bowl and toss together with grilled snapper and serve with lettuce cups! Cut onions and peppers into long, thin strips. Using a heavy pan (I like to use cast iron or a nonstick skillet), heat 2 tbsp oil or salted butter. Toss onion and peppers in the pan when oil is hot. Stir occasionally to be sure they dont burn. When peppers are a bit soft and onions have slightly caramelized, toss in peeled shrimp. Cook shrimp to opaque and transfer to a bowl to serve. Add snapper and toss. Serve with lettuce cups and allow guests to make their own wraps. 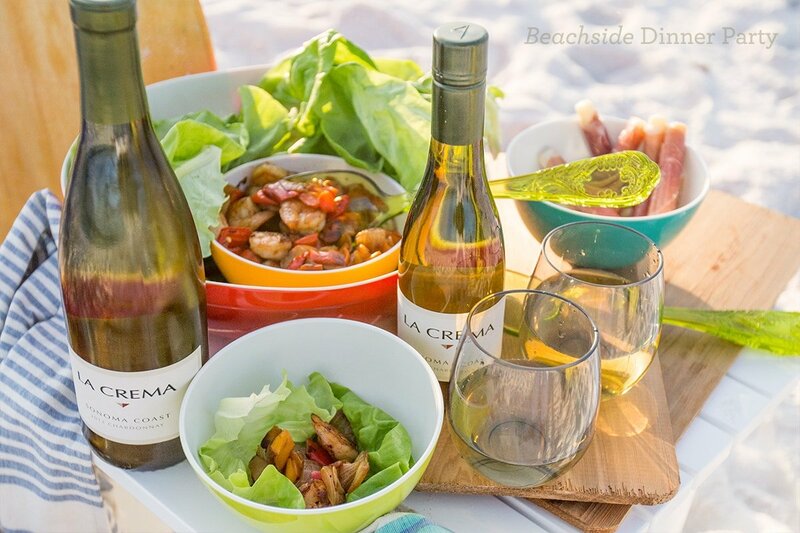 Beautiful beach, good wine, AND yummy food? Yes, please!!! Just seeing this post makes me want to hit up the beach! These wraps are also calling my name. 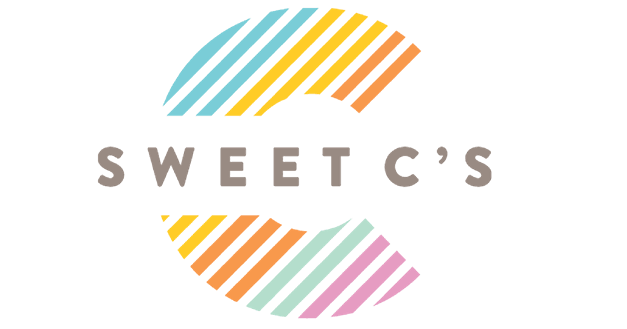 They sound super tasty paired with that wine….yum! I saw these photos on IG and was totally enamored. They are gorgeous! I can’t wait to try this recipe! It looks like it pairs perfectly with the La Crema! Incredibly delicious! What a perfect summer meal! Yum! 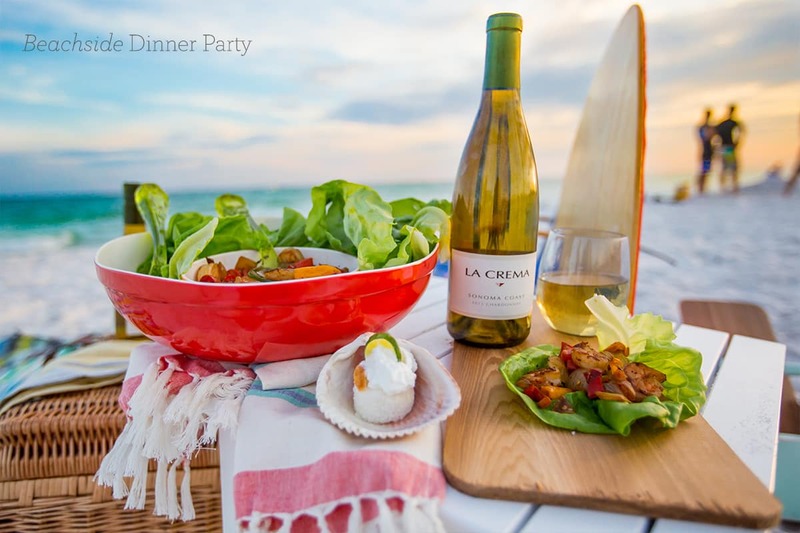 This recipe sounds awesome and love the sunset dinner party idea! Super romantic! You are adorable! These sound YUM!